What is the Monthly Summary Email? 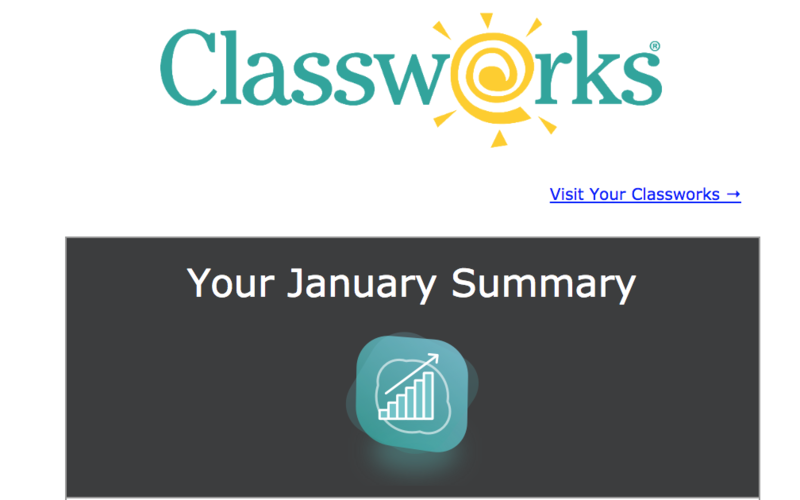 The Classworks Monthly Summaries provide an at-a-glance view of how your school or district is using Classworks. View average student scores, total time-on-task, completed assessments, and more.This email will be generated and sent at the beginning of each month and contains details from the previous month. Click here to learn how to edit who receives the summary email (add/remove users from the distribution list). The Activity section lets you know how many unique student logins you had for the month, as well as which school in the district had the most logins. You can use this information to keep track of general usage over the year or to see which of your schools are using Classworks the most. 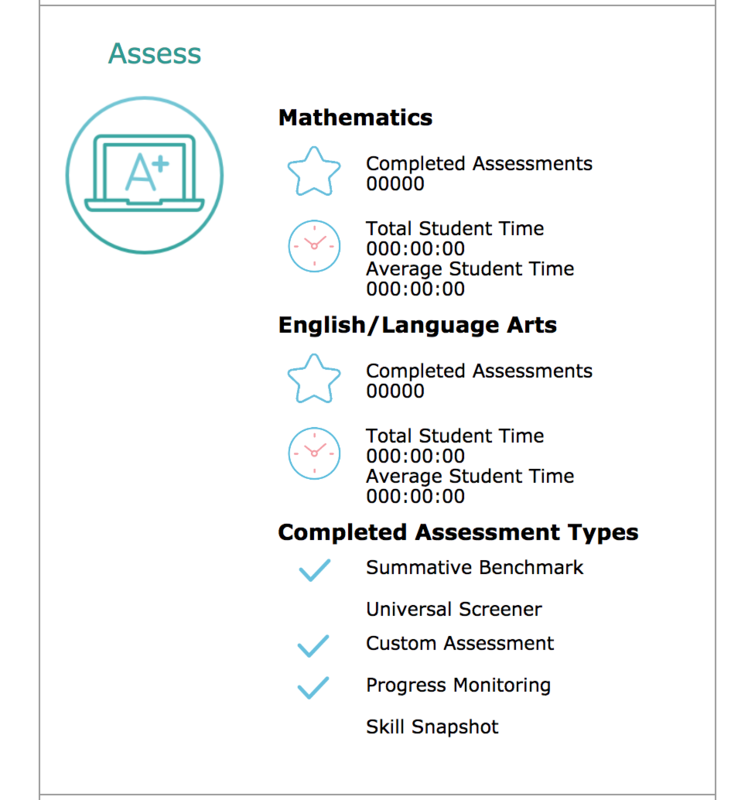 This section gives you a breakdown of scores and time spent by students in both Mathematics and English/Language Arts. The Average is an average score of all work completed by students for the month. 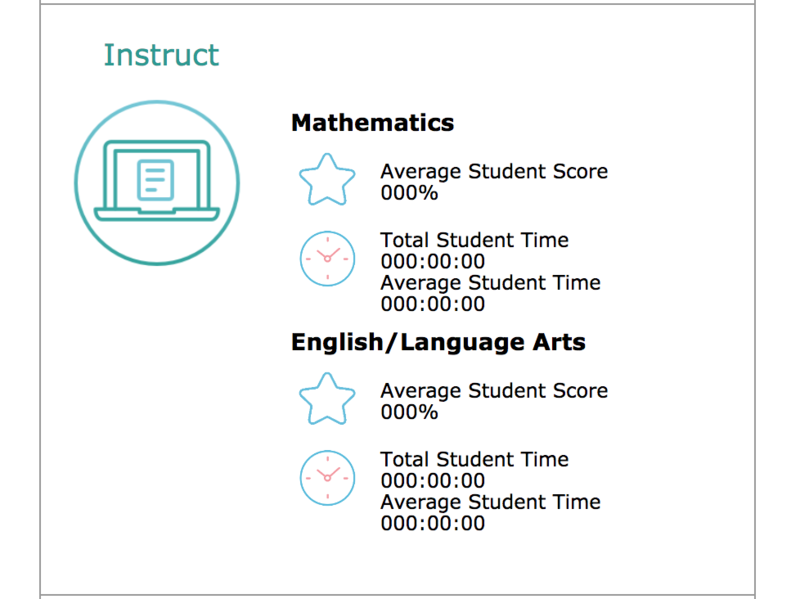 Total Student Time is the sum of all of the time students spent working on instruction in Classworks. To calculate Average Student time we take the Total Student Time and divide it by the Unique Student Logins from the previous section. This will give you an idea of how much time was spent on Classworks instruction per student. This section gives you details about the assessments students took in the month. For both Mathematics and English/Language Arts you see the number of assessments completed as well as the Total Student Time spent and the Average Student Time. Average Student Time is calculated by taking Total Student Time and dividing it by the number of unique students for that subject. The bottom part of this section shows which Assessment Types made up the Completed Assessments. This lets you know which Classworks assessments students took (or didn't take) during the month. 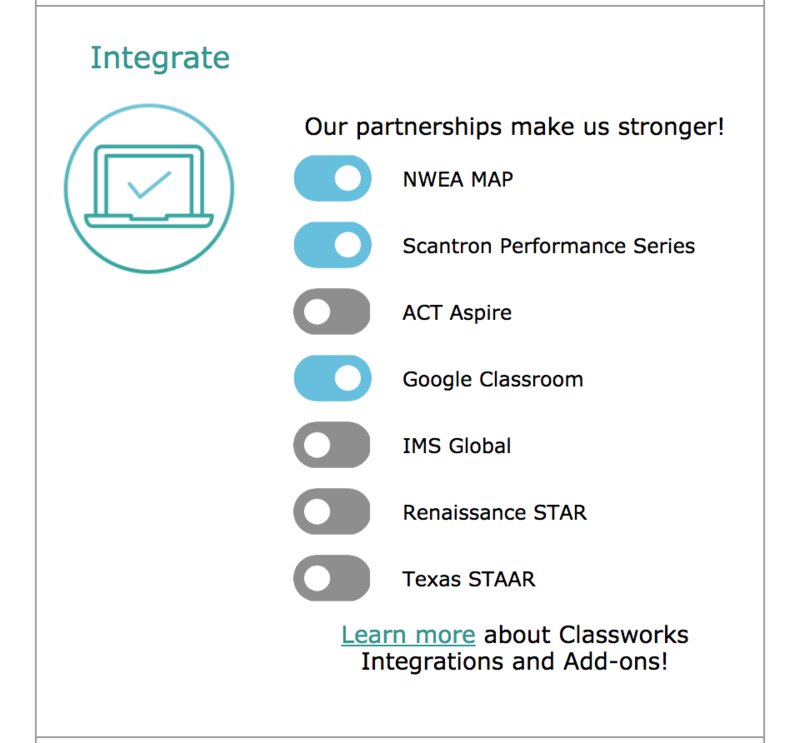 This section shows which Classworks integrations are currently being utilized. Classworks works with several different partners and you can see which assessments are active and inactive within the Classworks manager. These selections can be edited by a district administrator in the Integrations Directory. The last section is Announce. This is where Classworks can give you updates or announcements on new features or upcoming events. 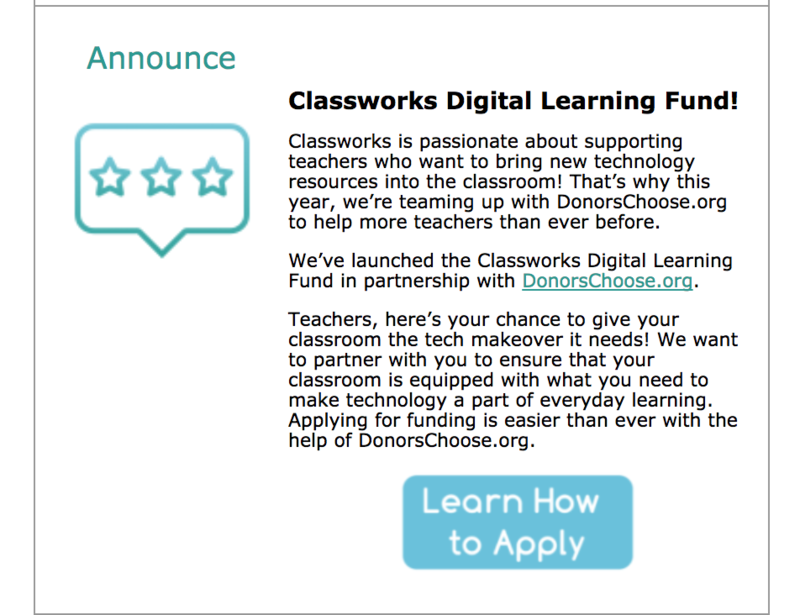 We like to keep you informed of everything that is going on with Classworks! For information on how to edit who receives this email or to add/remove users from the email list, click here!